Hundreds of lives are saved each year through the use of these critical devices. In fact, many laws now dictate that both public & private facilities such as stadiums, hotels, courthouses and schools now have these devices. For more information concerning your state click here . Unless otherwise requested, our clients will own the gear at the end of the lease term. Painless leasing plans. Most credits accepted. Leasing to all 3 sectors: municipal/governmental, for-profit and non-profit entities. You are 100% covered with our programs. This includes both paid and volunteer fire departments and first responders/EMTs. Rental programs for the commercial sector. Suppliers can take the gear back at the end of the lease term and upgrade their clients. Ask your LeaseSource representative about the requirements to participate in this creative plan. Private label plans may be available for select clients who sell to the public sector. Leases can include training, travel, future support costs and stock of spare parts. One easy payment covers it all. Extended terms of up to 5 years. Keeps the monthly cost low. Possible tax benefits for commercial clients. The government may help you pay for your purchase. Choose your own supplier and model. Unlike captive leasing plans that force you to purchase only their models, we let you make the choice. 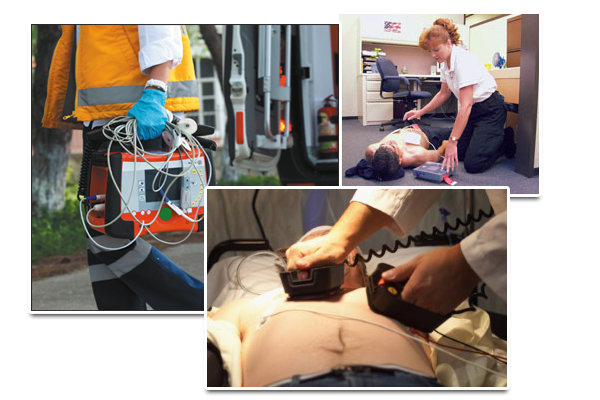 We will lease AEDs manufactured by Zoll, Philips, Medtronic, LifePak, Physio Control and Cardiac Science and many others. Thank you immensely for your time with our sales team this evening…long day for you to stay and help us get a little more knowledge on your programs! We look forward to further discussions with you and your company in the near future.